So today is Friday the 13th in the Year 2012 and it’s snowing outside and I was one hour late to work. I arrived safely despite the long arduous wait for a bus that wasn’t packed full of people. Would have loved to drive but I couldn’t get my car out of the underground parking lot since the ramp had ice and my superintendent had failed to salt it before the snow hit us. It has been an interesting morning and an interesting day and yet I feel full of joy and excitement because simply put, it’s a TGIF to me! Now I know people have their superstitions about the number 13 being a number for “bad luck”, especially since we have the world renowned horror flick that plays without fail every Friday the 13th of any year entitled Friday the 13th that stars the notorious Jason Voorhees the hockey-masked machete wielding killer. 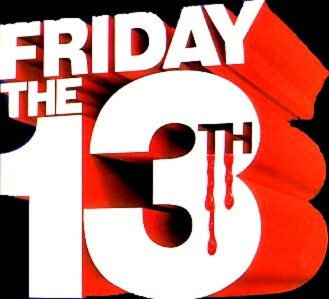 It seems that we have reasons to be wracked up with fear every Friday the 13th because of the number 13. According to my Chinese colleague in my legal department, she told me that in China, the number 13 is considered “good luck” whereas the number 4 is considered to be “bad luck” because the number 4 in Chinese means “death”. So any number with the number 4 in it (i.e. 14, 24, 34, etc) is considered bad to them, so you won’t see a 14th floor or room with the number 4 in hotels or apartments or office buildings, etc. It’s interesting how other cultures have different associations for certain numbers that they deem as “bad luck”. Thirteen : 13 – This Biblical Meaning of Number 13: comes from my understanding that it is at times associated with the rebellion of things, corruption, abandonment, defection, revolution, to break or destroy. Four : 4 – This Biblical Meaning of Number 4: comes from my understanding that it is normally associated with God’s creative works or perhaps “Earth Creation” (material completeness). Fourteen : 14 – This Biblical Meaning of Number 14: comes from my understanding that it normally deals with one gaining a spiritual perfection that is doubled measured in strength or spiritual completeness that is twice over. The Old Testament has thirty-nine books, (13×3). The last word is a curse. It has five letters, the number of death. In Acts 13:39 (13 x 3) is the justification from the curse of the law. It took the death of the Son of God. In Galatians 3:13 we are given the triple curse connected with the law; cursed is anyone who hangs on a tree. Jesus became a curse when he hanged on the cross. 2 Corinthians 5:21 says, “For He hath made Him to be sin for us, who knew no sin; that we might be made the righteousness of God in Him.” Jesus became a curse for every one of us. In 1 Timothy 1:19-20, we are told that the law is for thirteen kinds of people. In Proverbs 13:13, there is a statement on unbelief. In Joshua 13:13, is the cause of all apostasy. In Joshua 7:13 is found an accursed thing. 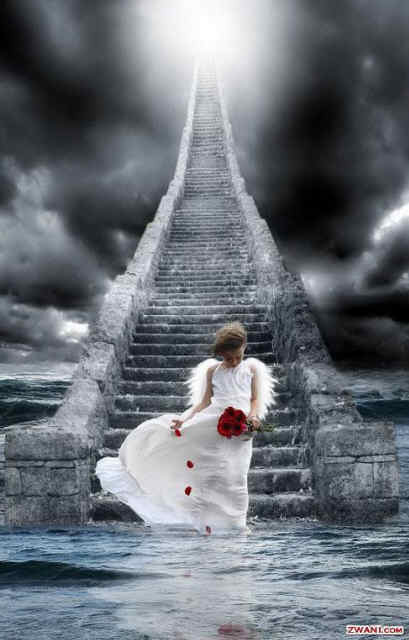 Eighty-five percent of the thirteens in the Bible refer to death, destruction or evil. Ten percent are neutral and five percent are good, while the eighty-five percent refer to sin, Satan, hell, unbelief, apostasy, and judgment. Genesis 4:13 has thirteen words that are the reply of a murderer to God’s fair dealings. In Genesis 6:13 and Genesis 13:13 is the sinfulness of man. Nimrod was a type of the antichrist, the thirteenth from Adam. He was a rebel. The first time the word thirteen occurs in print, we find they rebelled (Genesis 14:4). Apollo 13 was the thirteenth space flight, the one which failed. Revelation 13 deals with the Satanic godhead. Judas Iscariot has thirteen letters in his name (John 13:13) The verse had thirteen words and thirty-nine letters, which is 13 x 3. Judas is called the angel of the bottomless pit. Apollyon and Abaddon both mean the destroyer. He is identified in Revelation 13 as the one Satan will raise from the dead and the one Satan will live in. In Revelation 17:5 there are thirteen words in block capital letters on the harlot’s forehead. They contain sixty-five letters (5 x 13). In Deuteronomy 14:7-9 there are twenty-six unclean animals (2 x 13). In Mark 7:21 Jesus says there are thirteen evils in the human heart. The United States rebelled against England in 1776. We had a flag with thirteen stars, thirteen stripes and a snake with “Don’t Tread On Me” written on it, which that is thirteen letters. There were thirteen stars on the Confederate flag in the Civil War. With that being said, I can understand why some people feel some level of anxiety over the day — Friday the 13th. It’s no wonder why some buildings don’t have a 13th floor or why some rooms don’t have the number 13 on it in some hotels, apartments and/or business blocks. The number 13 carries such a powerful significance and meaning in people’s mind that some people refuse to go to work on Friday the 13th. How can a number be so powerful to paralyze people from functioning normally within the boundaries of reason? I personally don’t believe in “bad luck”. I only believe that the devil is real and that God is real and God is greater than the Devil, PERIOD. No number or day is more powerful than that TRUTH. This is not to negate the importance of understanding the numerological meanings associated with the number 13 Biblically speaking, because it is important especially when it’s in regard to Biblical prophecy to understand the meaning behind some numbers such is the Number 12 which means GOVERNMENT hence the year we are in is a year of Divine Government, or the Number 7 which means Divine Perfection. I could go on and on, but I think you catch my drift, right? I’m not saying that peoples fear of Friday the 13th is irrational or illegitimate, because we have Biblical reasons that back up the negative association of the Number 13 since it has a clear connection to misfortune. All I’m saying is that we have in a way over-aggrandized it to the level where it perverts everything we see on such days that may have been intended to be Good, but because of the fear of the Number 13 we label everything as “bad” or “evil”. This is just based on my experience with some people I have encountered. It could be different for others but I’m just putting this out there. We shouldn’t over-exalt the number like the number 13 on a specific Day such as Friday to such an extent that we forget that each day is a day that the Lord has made for YOU, His Son and Daughter to live in this World that needs to see Hope at the end of the tunnel. Don’t give a number so much power over your mind that it paralyzes you from moving forward with everyday life is what I’m getting at here. Yes, I agree, understand its meaning but don’t let it become something that controls your actions. You have the power of the Blood of Jesus to overcome anything and everything, so put your TRUST and YOUR FAITH in the right place. I see everyday as the day that the Lord has made regardless of what number it is because I will rejoice and be Glad in it. I think we should think of each thing in that same sense. What are your thoughts? Philippians 4:8 (NIV)- Finally, brothers, whatever is true, whatever is noble, whatever is right, whatever is pure, whatever is lovely, whatever is admirable–if anything is excellent or praiseworthy–think about such things. I made it to the 14th! All’s good! There’s nothing to fear of reading a post about Friday the 13th on the 14th is there? I’m with you. Everyday with Jesus is sweeter than the day before… the 13th was better than the 12th, and I’m confident about today. As you say, He made all three and let us rejoice and be glad in it! God bless. Waking with God steps us right around all these barriers of superstition and cultural myths. Hooray! Yes, Sherline, the Lord made the days numbered 13 by we human-folk. GOD did not number the days or make calendars or clocks! True, there are many evil things numbered by human scribes recording the Scriptures and labeling them with some factor of “13”. However, rejoice in EVERY day which the Lord has made!